Why does goal setting work? 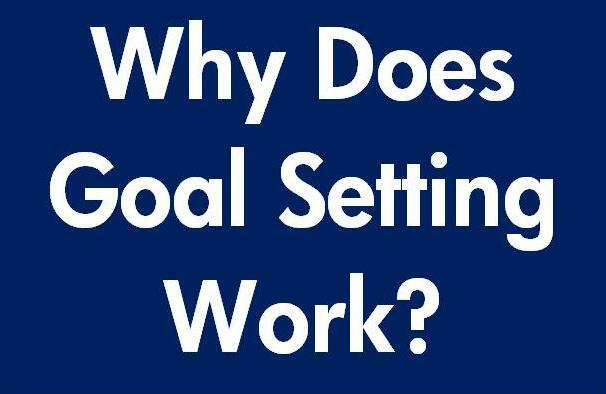 Many will tell you to set goals, but have you ever wondered why goal setting actually works? When you look at people that are good at goal setting and goal attraction they achieve everything that they set out to achieve, where as people that do not set goals and just follow that crowd can find it much harder to get what they want, if at all. We become what we think about and setting goals focuses our thoughts in our minds. Goal attraction works in the same way; raising a goal to even more dominance in your mind. It is with our thoughts that we shape our lives and our world around us. We will become our dominant thoughts. Why does goal setting work? 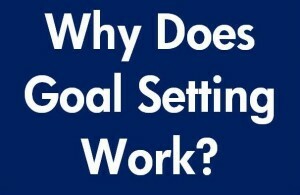 You could also ask the question, why doesn’t goal setting work for some people? The answer to that question in many cases is that although they have set a goal it is rarely in their thoughts and when it is in their thoughts, that goal is doubted. How to make goal setting work? Use many forms of goal attraction. Make that goal part of your daily dominant thoughts. Believe and expect your goal to be achieved. Do all this with a happy, calm state of mind and you will see for yourself that goal setting works.